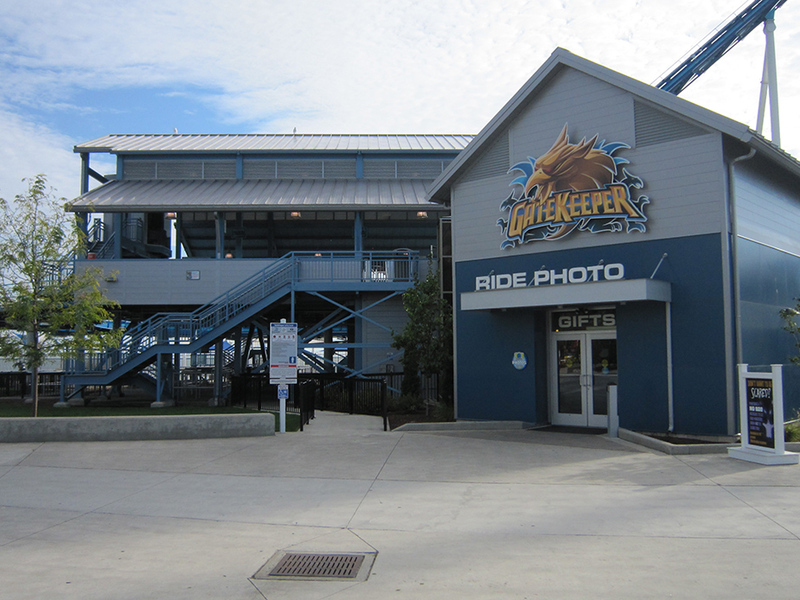 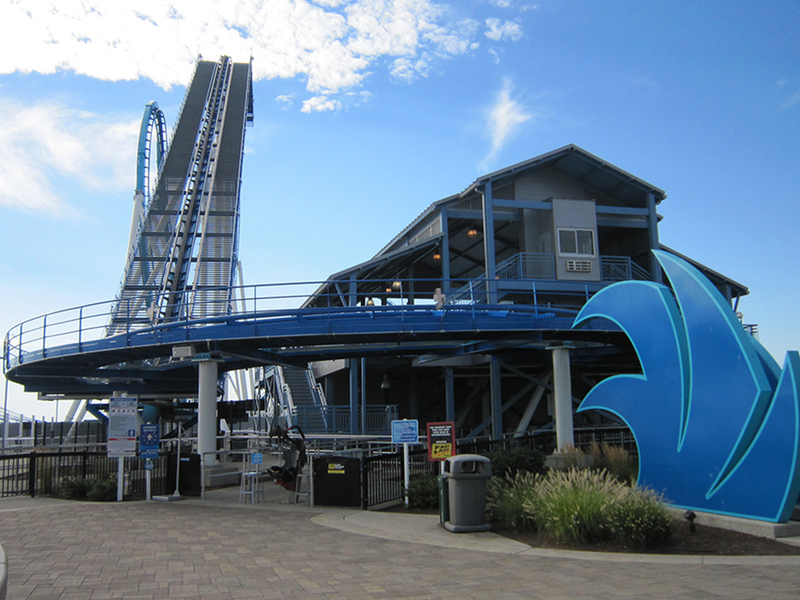 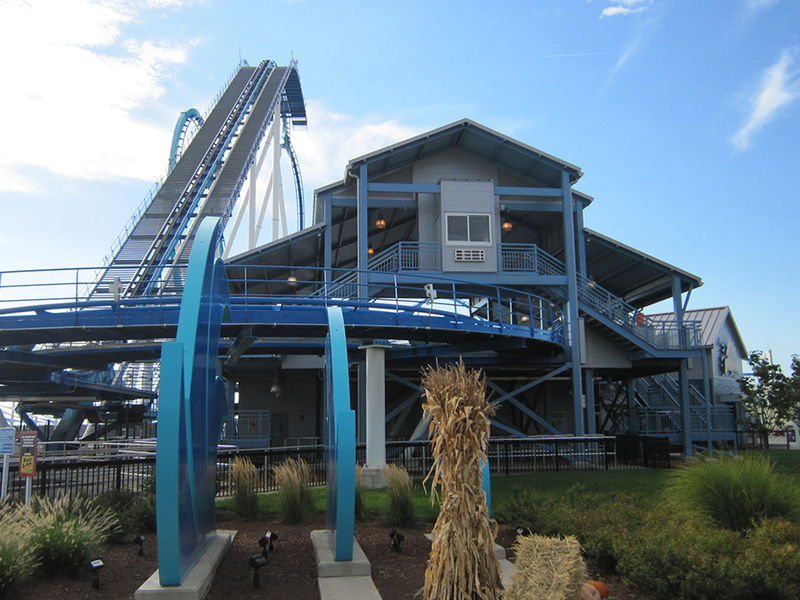 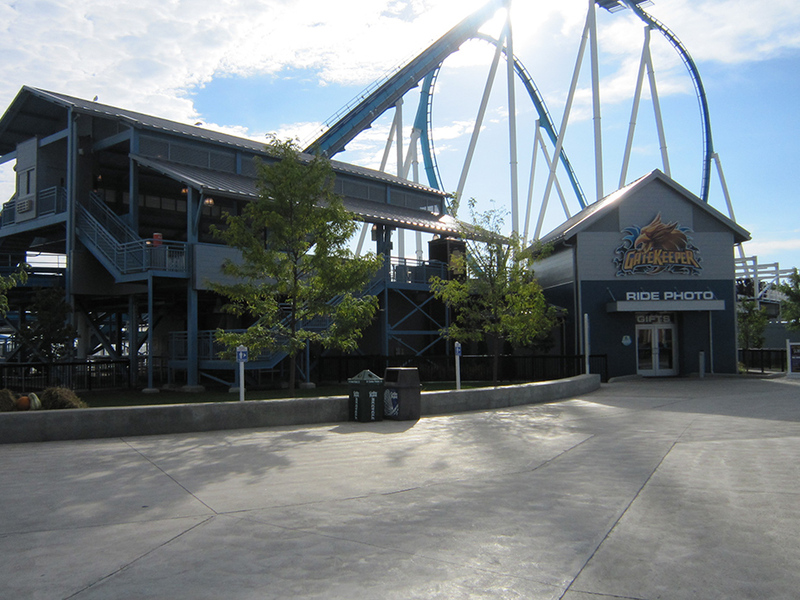 This new roller coaster station for the 2012 ride season passes through the entry portal of the front gate, while guests are entering the park below. 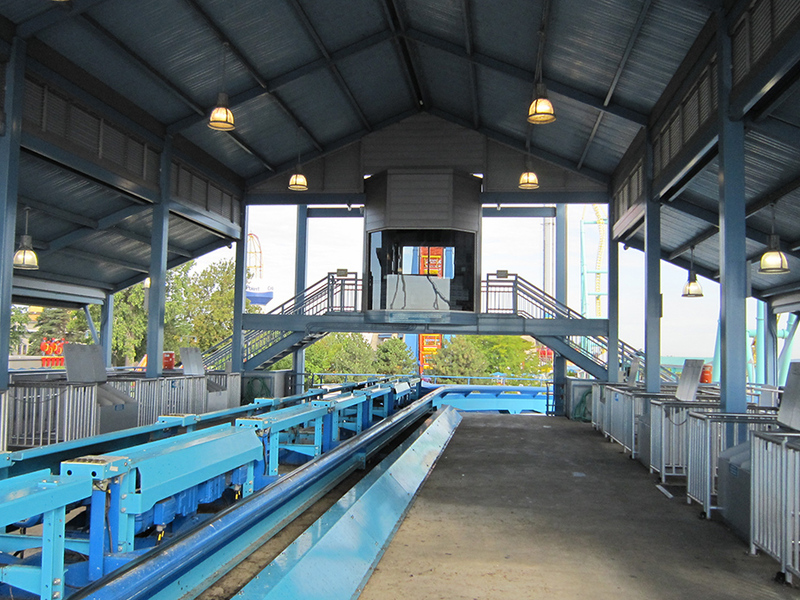 When exiting the ride, riders pass thru a merchandise shop under the ride platform. 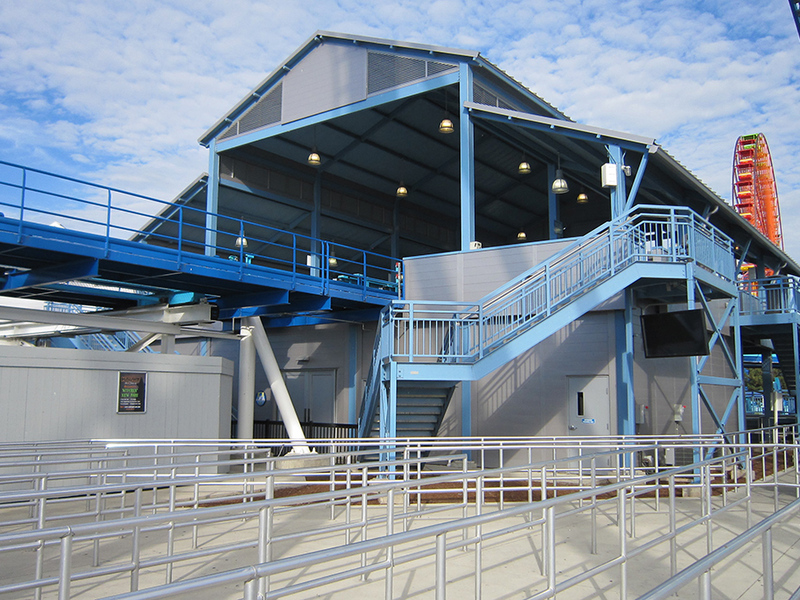 TRA is also the architect for the Front Gate renovation which is constructed and built at the same time, opening in the spring of 2013.